Ulysses S. Grant's Personal Memoirs are easy to read, written in a plain yet insightful style. The subject matter, too, deals with such an important time in American history. Grant's Personal Memoirs (1885) are considered a classic of American literature. There is no doubt that it is the greatest book ever written by a former U. S. President. As the primary first-person narrative of the Civil War, it has been scrutinized, celebrated and praised, but never damned. Grant's book has been spared the attacks that have been directed at him in other areas of his life. Even his most vocal critics find it hard to denigrate this simple, yet elegant document. 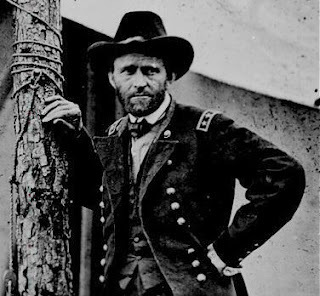 Written while dying of throat cancer, the torturous creation of this work is a great human story, as inspiring as anything Grant ever did on the battlefield. Mark Twain commented that "General Grant's book is a great, unique and unapproachable literary masterpiece. There is no higher literature than these modest, simple Memoirs." Gore Vidal wrote: "It is simply not possible to read Grant's Memoirs without realizing that the author is a man of first-rate intelligence." Free e-book versions of the autobiography are available at Project Gutenberg. The Memoirs are in two volumes at Gutenberg. I have just read part of the Memoirs so far--through Grant's youth, his West Point training, and the Mexican War. The style is thoroughly readable, and the objective tone, lacking any self-serving perspective, increases the power of the narrative. I've also noticed, during this article's research, that there is a Ulysses S. Grant Historical Site, "White Haven," in St. Louis, Missouri, maintained by the National Park Service. "For myself, I was bitterly opposed to the measure, and to this day regard the [Mexican] war, which resulted, as one of the most unjust ever waged by a stronger against a weaker nation." "These [American Texan] colonists [in Mexico] paid very little attention to the supreme government, and introduced slavery into the state almost from the start, though the constitution of Mexico did not, nor does it now, sanction that institution." "No doubt the majority of duels fought have been for want of moral courage on the part of those engaged to decline." "I would not have the anniversaries of our [Civil War] victories celebrated, nor those of our defeats made fast days and spent in humiliation and prayer; but I would like to see truthful history written." "As time passes, people, even in the South, will begin to wonder how it was possible that their ancestors ever fought for or justified institutions which acknowledged the right of property in man." I will be reading the Memoirs for quite some time. Teachers should consider assigning portions of the autobiography as enriching reading when studying history. Hearing an eye-witness account is always a strong foundation for meaningful discussion.